Underwater Ghost Towns | Russellink. Underwater Ghost Towns – Russellink. North Georgia has more than forty lakes, and not one is natural. The state’s controversial decision to dam the region’s rivers for power and water supply changed the landscape forever. Lost communities, forgotten crossroads, dissolving racetracks and even entire towns disappeared, with remnants occasionally peeking up from the depths during times of extreme drought. The creation of Lake Lanier displaced more than seven hundred families. 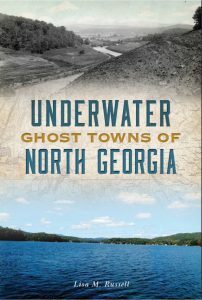 During the construction of Lake Chatuge, busloads of schoolboys were brought in to help disinter graves for the community’s cemetery relocation. Contractors clearing land for the development of Lake Hartwell met with seventy-eight-year-old Eliza Brock wielding a shotgun and warning the men off her property. 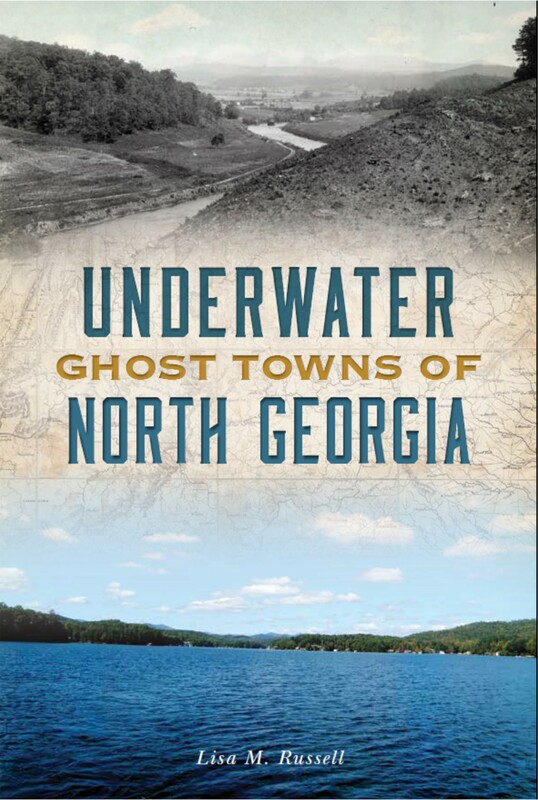 Lisa Russell dives into the history hidden beneath North Georgia’ lakes.